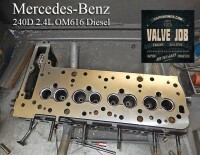 Mercedes 240D 2.4 diesel valve job. 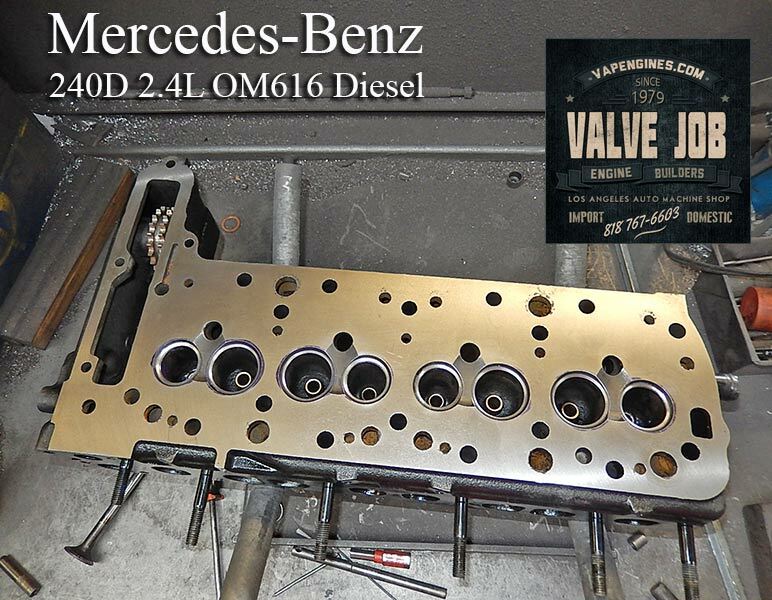 This Mercedes 240D 2.4 Diesel cylinder head needs a bit of work, so we are performing a Valve Job. 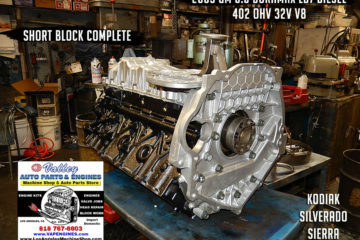 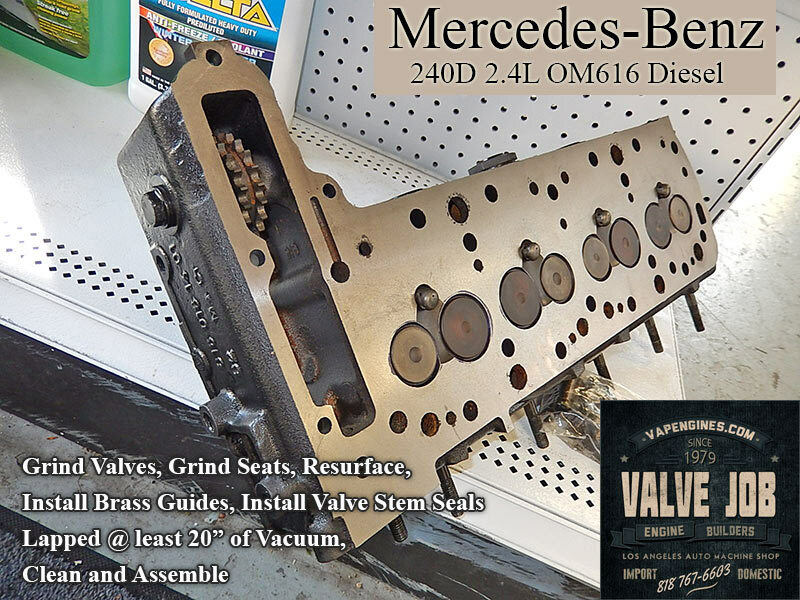 Basic Valve Job includes: Grind valves, Cut valve seats, Resurface, Clean, Paint and assemble. 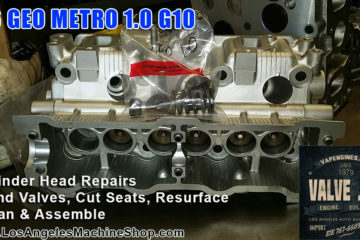 Extra’s if needed- Install new seats, Install new guides, Replacement valves, springs, and crack repair. 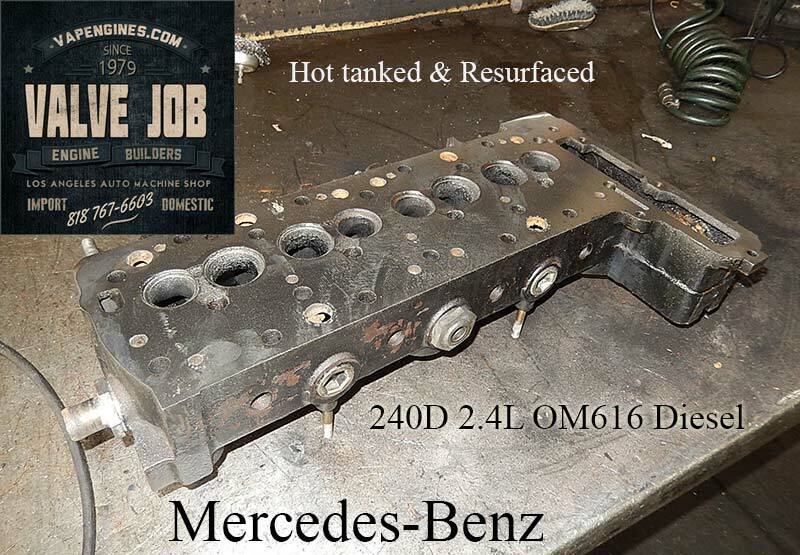 Teardown, Inspection, hot tank and scrubbing to start. 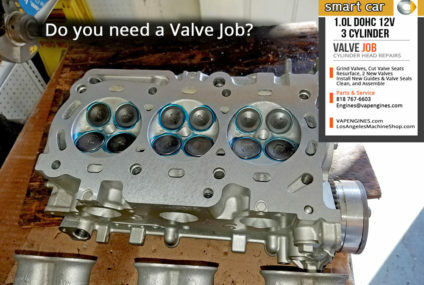 Check for cracks and inspect valve train parts. 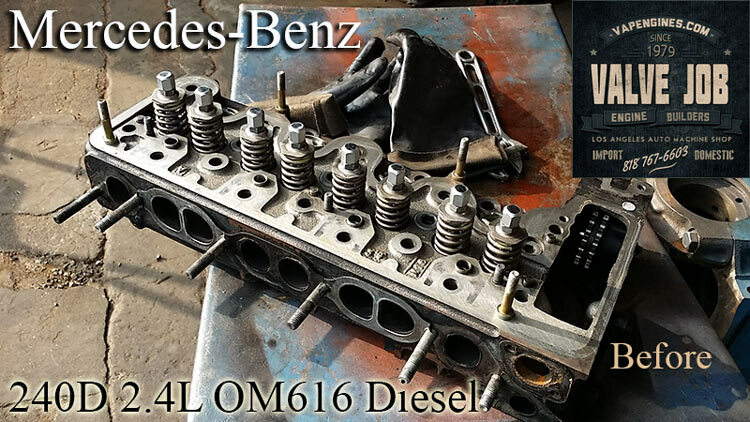 Cylinder head gets resurfaced to a nice smooth finish so it will mate up to the block. 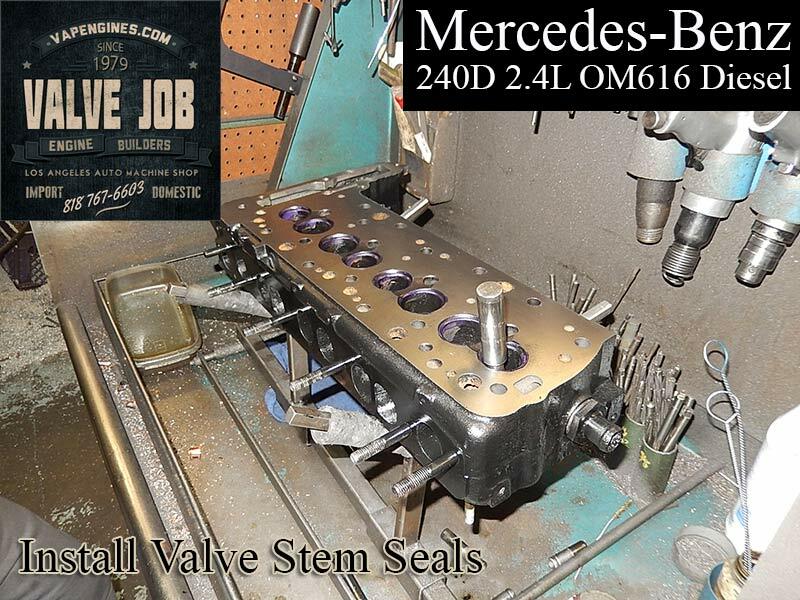 We install new valve stem seals and new brass guides. 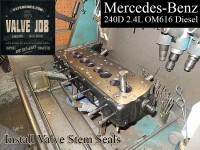 We grind/cut the valve seats and grind the valves. 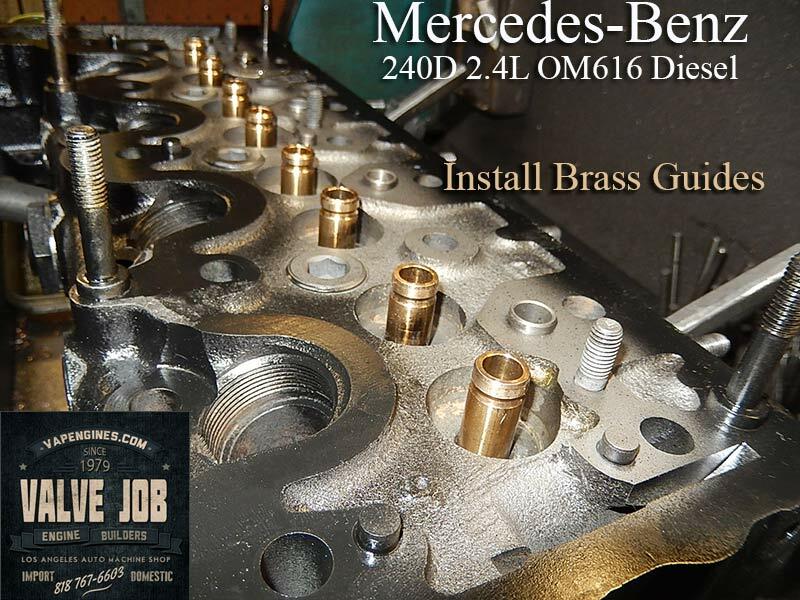 Close up shot of the brass guides being installed. 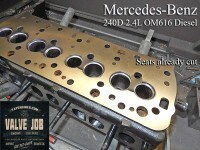 After the new guides are installed we move on to the assembly. 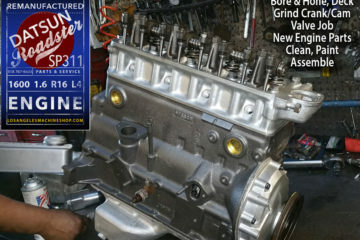 Finished product ready to go! 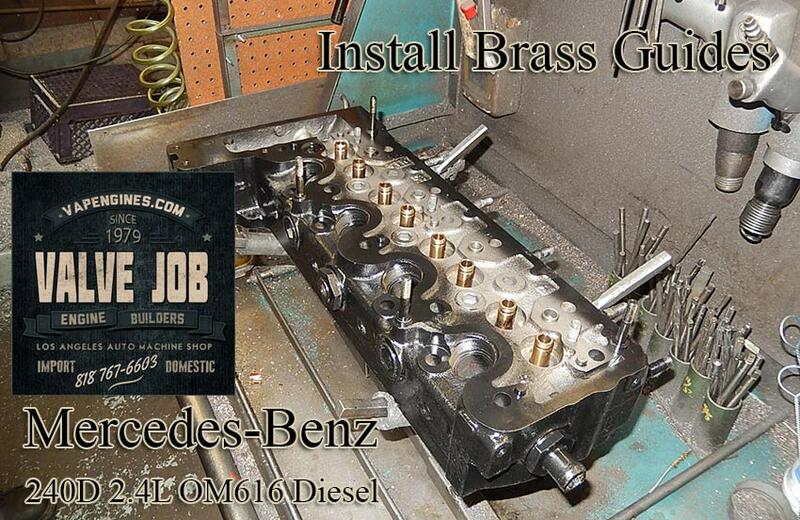 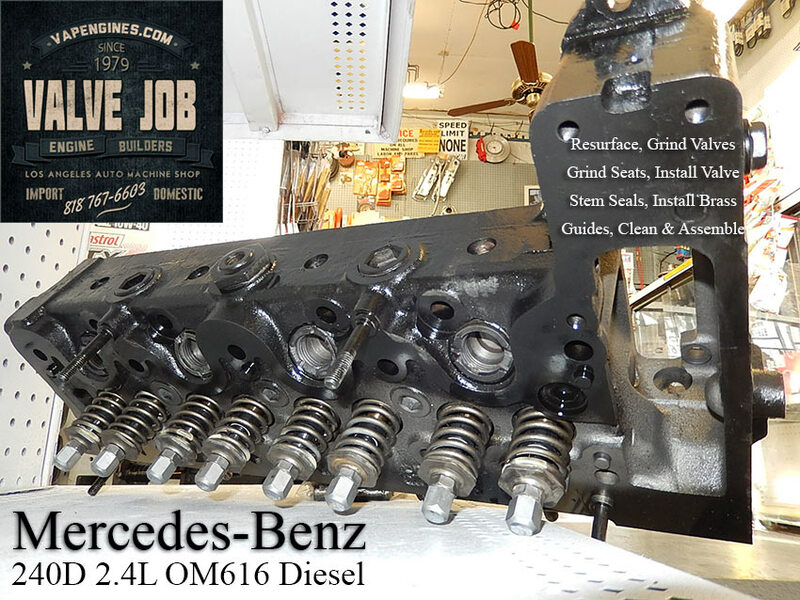 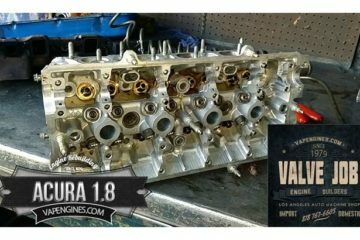 Need your Mercedes cylinder heads repaired or a valve job? 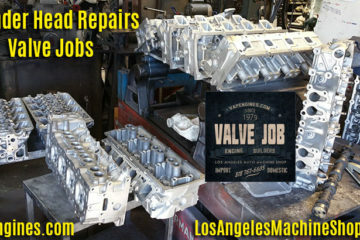 Parts and service at our Los Angeles Machine Shop. 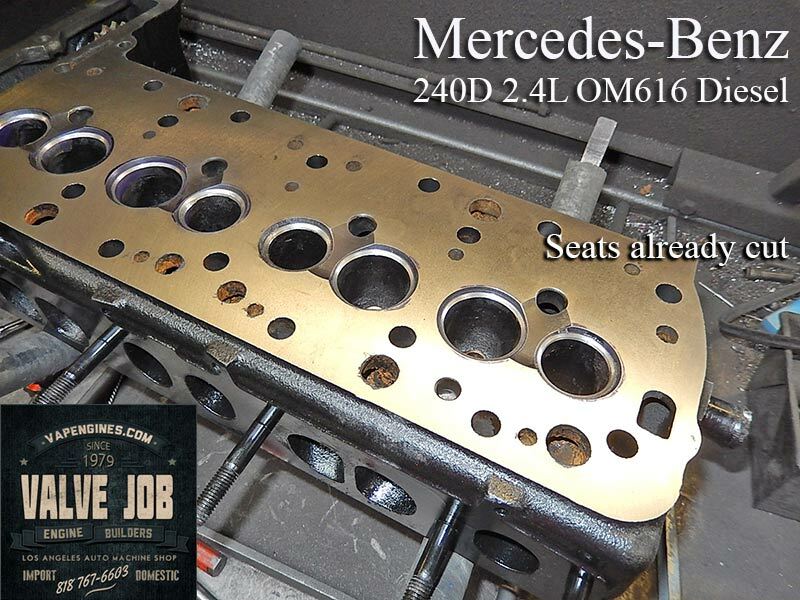 Use the Contact page to send an email for pricing or an estimate.